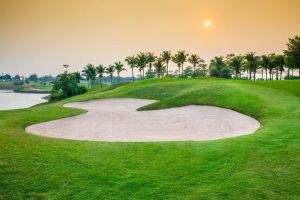 Designed by Gary Player and located in the hilly, beautiful countryside of Sri Racha, the eight-year-old Sriracha International Golf Club is relatively short course with a lot of par-fours. The layout carefully utilises the natural landscape to best effect, leaving a lot of up and downhill fairway lies. 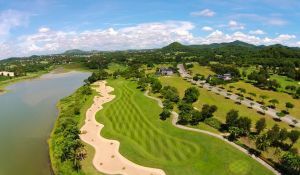 Sriracha International Golf Club is a well kept course situated among the hills of Sriracha and despite not being one of the longest courses in Thailand; it has twice been home to the Thai Open. 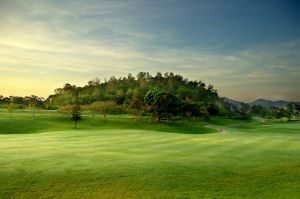 Situated just 30 minutes by car from Pattaya, it is a beautiful 18-hole course that was designed by nine times major winner and golfing legend, Gary Player. When designing this course, the natural landscape was put to good use, allowing the golfer to admire the beautiful scenery as he plays his round. It is a very demanding course and for the scratch golfer it is a par 72. The course is 7019 yards long when teeing of from the championship tee, although there are two other ideal for the novice. It is well maintained throughout the year boasting wide fairways and beautifully manicured greens and has been designed with the majority of the holes as par 4’s with very few water hazards to distract the players. For those who like variety, it has a rather unique par three hole which runs over a crocodile pit. The course takes full advantage of the hilly countryside, with undulating fairways which are sure to challenge even the best golfers; there are many par four holes, which despite being short are definitely not easy. Unlike many other golf courses in Thailand, the Sriracha course has got very few water hazards but the ones that it does have are very tricky. The greens are beautifully kept and the average player will find them fast, adding to the challenge of the round. This course is perfect for the beginner as it is a relatively short course and although challenging, it gives them the opportunity to improve their game. The fairways are wide and sloping with many humps and bumps, allowing the more aggressive golfer to try and drive his ball that bit longer. As with all first class golf courses, all equipment can be hired at the golf shop for reasonable prices. A set of clubs and a pair of golf shoes can be hired for less than THB 1000 and there are local caddies with expert knowledge of the course available for hire at only THB 200. 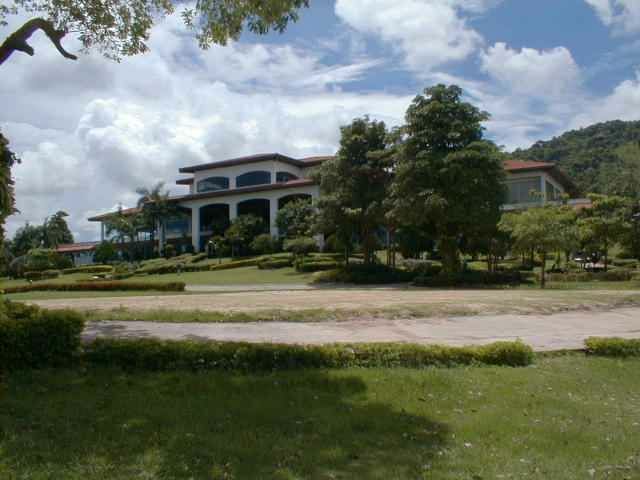 The facilities at Sriracha International Golf Club are of the highest class. The locker room has individual lockers for the players and before starting out on a round, there is an excellent driving range allowing golfers to improve and polish their swing. After all the tensions of the round, there is a swimming pool attached to the clubhouse where aching muscles can be eased and a sauna to clean and refresh. To finish off the day in style, there are first class masseurs on hand to give golfers traditional Thai massages. 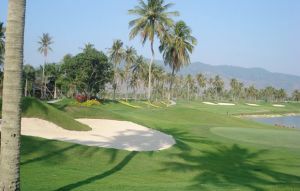 Golfing tourists in the city of Pattaya should definitely take the time to visit this beautiful golf course. They will be rewarded with a pleasant round of golf in the most spectacular countryside. Sriracha International Golf is not yet in our pool of Golf Courses for orders.